The term ‘Co-Ownership Mortgage’ could refer to a select few different things. It may refer to the instances where someone takes out a mortgage with their partner or where a group of friends get a mortgage to purchase a house together to raise a bigger deposit and share repayment costs. Co-Ownership mortgage could also refer to a ‘Shared Ownership Housing Scheme’. Shared ownership schemes work as a kind of mixture between buying and renting a property. They allow people to purchase a share of a property and pay rent upon the portion they do not own. People typically buy between a quarter and three quarters of the property and have the option to buy bigger shares in the property at a later date. Not all lenders offer mortgages to purchase a portion of a property under one of the schemes however many do, so it is worth shopping around to try and find the best deal available for the product that suits you needs. It’s possible to get a joint mortgage with a partner or friend or family member; you can even take out joint mortgages for more than just two people. There are a number of things you should first consider before taking out a joint mortgage however, for instance during the application process a lender will check the credit score of each person, meaning even if there are multiple applicants having one person with an adverse history could increase your interest rates or cause the application to be declined. Different types of legal agreements exist for people who want to take out a joint mortgage. In cases where all parties agree to be ‘joint tenants’ everyone has equal rights to the property and can claim an equal share in any profit made through the resale of the property. Another type of agreement is known as ‘tenants in common’ which permits each tenant can own their own varying shares of the property. 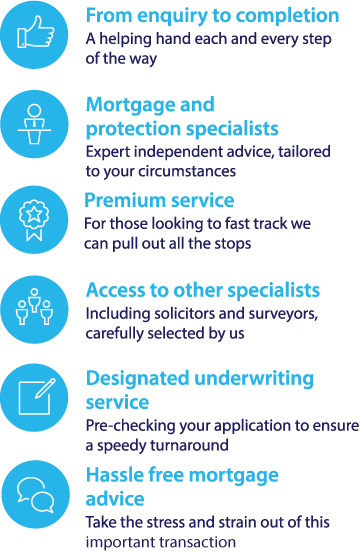 Whatever type of mortgage you are interested in, you may benefit from using the services of an independent mortgage adviser. An adviser that offers a whole of market service can search across different lenders on the behalf of their clients, as well as offering them impartial advice.